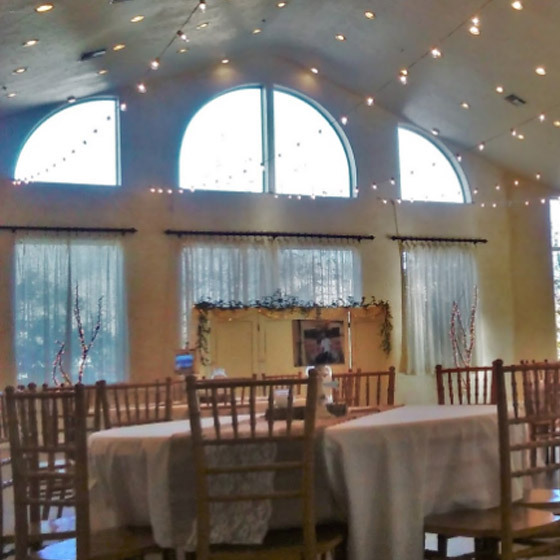 Whether you bring in your own decorations or rent them from Castle Manor, our neutral color scheme and elegant architecture fit perfectly with any style! This Wedding party rented decor items from another location and brought them in and it turned out great! We offer very similar items that can be rented and set up by our on sight Event Designer. If you are looking for more of a one stop shopping experience for your Event set up and decorations please contact us to see our extensive inventory. The Hot Coco Bar has been very popular with guests this Fall. We rent drink dispensers and every kind of tray, cake stand and platter you could want. We were so pleased to be part of this Charming occasion!